We’ve all heard of or shopped at Walmart before -- unless you’re Paris Hilton -- as Walmart is always getting bad press and is somewhat known for it. The trend continues as Walmart has been found guilty of improperly disposing of hazardous waste in California and Missouri and has agreed to pay $81 million in penalties as part of its guilty plea. The plea agreement was announced on Tuesday. The violations occurred between 2003 and 2005 and involved employees dumping pollutants from stores into sanitation drains. In 2010, Walmart agreed to pay $27.6 million to settle with California authorities on similar charges and then in 2012 it paid $1.25 million in Missouri. Walmart’s pollution, and other improper disposal of harmful chemicals, contributes to the creation of “dead zones”. As pollutants and toxins are indirectly or directly dumped into a waterway, they facilitate the growth of algae blooms that deplete the oxygen from the area. This kills marine life and forces fish to leave the area. What is left is effectively a biological deserts. 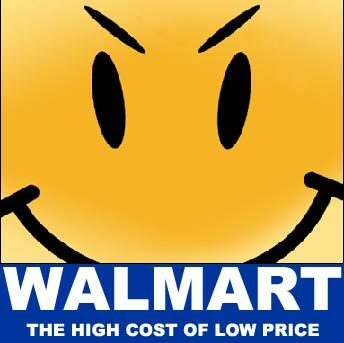 According to Walmart’s spokeswoman, Brooke Buchanan, “We have fixed the problem. We are obviously happy that this is the final resolution” in response to the guilty plea.